For those who want to give a luxurious treat to their pet, Samsung has created the first ‘doghouse’ with the smallest details you can imagine. $ 31,000 is the price for a stay for dogs in this original space created by twelve designers of the company. The Korean brand has designed and built this house for six weeks on the occasion of the celebration of Cruft Dogs Show in Birmingham’s National Exhibition Centre, a canine event held every year in the English city. The ‘Dream Doghouse‘ has a modern and luxurious look for animals to enjoy a stay with all amenities. 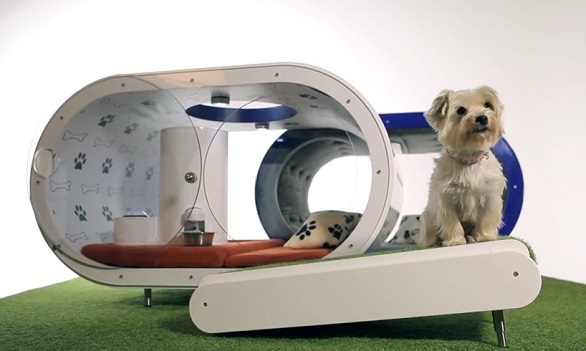 Andy Griffiths, managing director of Samsung Electronics UK, further stated that this ‘Dream Doghouse’ wants to reflect the nation’s trend through the use of technology: from dogs that have their own profiles on social networks to owners who use video calling to see how their pets are when they are absent. 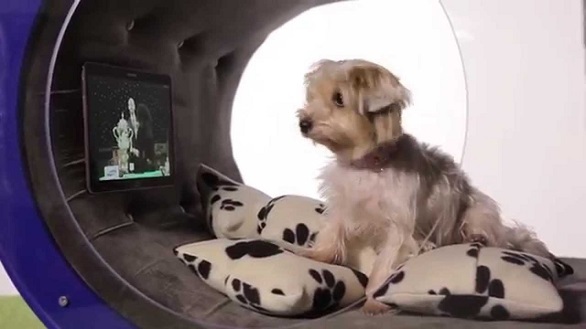 With room for two dogs, this futuristic house incorporates inside a comfortable bed with cow print cushions, an automatic food dispenser which works by pressing a button and the Samsung touch that could not be missed: the house has on its wall a tablet with multiple content to entertain our pets. But that’s not all. Samsung’s doghouse also has a treadmill covered with lawn for the dog to exercise and a whirlpool tub for relaxing after the effort made on the treadmill. So you know, if you can you afford this $ 31,000 whim, ‘Dream Doghouse’ is the perfect gift for your pets to enjoy a stay in this house equipped to detail.